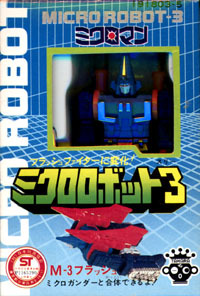 The box art below is, in order, the front, back and side panel from Micro Robot #1; and the front panel from Micro Robot #3. 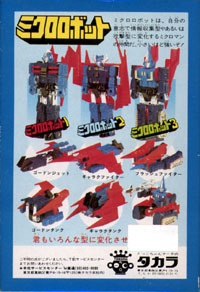 You can also see the figures inside the packaging. These are tiny little transformable robots. They only stand about two and a half inches tall at most. 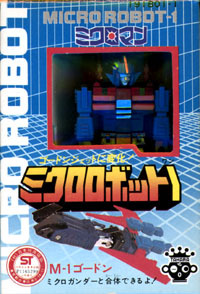 If you look at the back panel, you can see all three Micro Robots as well as the two other forms each can transform into. Each one came in three different colors. They aren't that exciting and the transformations are relatively simple. There are also "real" types of each of the Micro Robots; a jungle, city and mountain version of each. That means that there are eighteen separate Micro Robots out there!